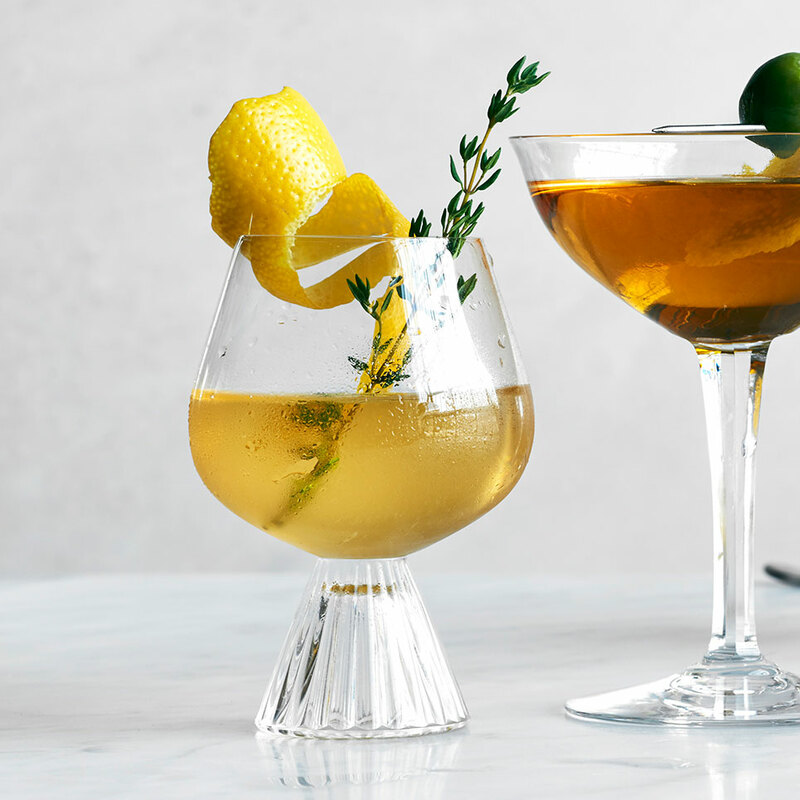 Devon Tarby of L.A.'s Walker Inn uses an unoaked Chardonnay here because it won't overwhelm the other ingredients in this refreshing cocktail. To make all the sublte flavors pop, she stirs in a couple of drops of a saltwater solution--which can also be added to tart drinks, like a daiquiri. Slideshow: More Easy Cocktail Recipes This recipe originally appeared in the Food & Wine 2016 Cocktails book. In a mixing glass, combine the Chardonnay, Calvados, Honey Syrup, verjus, and Salt Solution. Fill the glass with ice, stir well and strain into a chilled wineglass. Pinch the lemon twist over the drink and add to the glass. Garnish with the thyme sprig. In a measuring cup, combine 100 milliliters (about 3 1/2 ounces) water with 5 1/2 teaspoons kosher salt and stir until the salt is dissolved. Let stand for 10 minutes. Transfer to a jar and keep at room temperature for up to 1 month. Makes 3 1/2 ounces.